The VA Diabetes Claim: how many ways to service connect? In a VA Diabetes Claim, how many ways can the Veteran show that his/her diabetes is related to military service? There are several, and which one you use will be driven largely by how your Diabetes presents itself in your unique medical picture. Diabetes is a metabolic disease. For diabetics, the body does not produce or properly use insulin. Insulin is a hormone that is needed to convert sugar, starches, and other food into energy needed for daily living. Diabetes is not – as commonly believed – something that only fat people get. Common Problems in the VA Diabetes Claim. Veterans seeking disability compensation benefits in a VA diabetes claim are likely to see the same “canned” responses from the VA Regional Office. Typically, RO will conclude that diabetes — or symptoms of diabetes — did not appear to a compensable degree within one year of discharge from the military. Another common error occurs when the VA Rater – or the BVA – relies solely on a medical opinion from a VA Medical Center Doctor who concludes that it would be pure speculation whether the present diagnosis of diabetes was caused by or connected to military service. Service Connection in the VA Diabetes Claim. 1) Get a copy of your C-File: I can’t stress this enough. 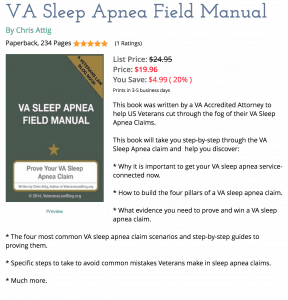 Without a copy of your C-File, you are battling the VA with blindfolds on. 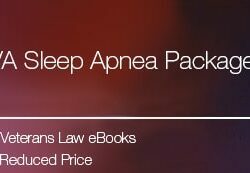 3) Get copies of all of your private and post-service medical records. 4) Build a “chain” showing that the symptomatology of diabetes that first appeared in service continued from discharge until the actual diagnosis of diabetes. To show that diabetes is secondary to another condition there must be some other injury which is already service connected, or which can be service-connected, and which is the cause of the Veteran’s diabetes. I have seen many try to attempt this proof, and very few are successful. #3:Service Connection by Legal Presumption. If Diabetes is diagnosed in service, or if the symptoms of Diabetes present to a compensable degree (10%) within one year of discharge, the Veteran’s Diabetes will be presumed to be service-connected. On November 9, 2000, the VA announced that Vietnam veterans with Type-II diabetes would now be eligible for disability compensation. So, for Veterans that set foot on soil in Vietnam, exposure to Agent Orange is presumed, and diabetes is then presumed connected to the Agent Orange exposure. This presumption applies to any Veteran exposed to Agent Orange – those with Boots on the Ground in the RVN, Thai Vets, certain Korean DMZ Veterans, and Brown Water Navy Veterans. What Symptomatology should you look for? 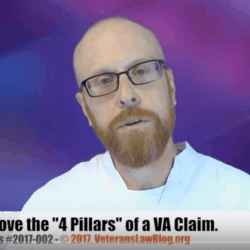 When building evidence to prove your VA Diabetes Claim using some of the methods above, you must show that the symptoms of your condition first appeared in service, and continuously appeared from discharge to diagnosis. For Type I Diabetes, look for any indications in and after the Veteran’s military service that indicate blood sugar levels that are consistent with a diagnosis of diabetes or approach diabetic levels, frequent urination, unusual thirst, extreme hunger, unusual weight loss, extreme fatigue and irritability. For Type II Diabetes, look in the Veterans military service treatment records, C-File, or post-service treatment records, for any of the Type I symptomatology, and also frequent infections, blurred vision, cuts/bruises that are slow to heal, tingling or numbness in the extremities, and/or recurring skin, gum or bladder infections. With Type II Diabetes, it is important to note that in some situations, the Veteran may experience no symptomatology. As always, take note of some of the more common complications of Diabetes. As the graphic in this post illustrates, there are a number of medical conditions that result from Diabetes – treated or untreated. Always consider a claim for secondary service-connection of any conditions that you believe were caused by your service-connected Diabetes. One last thought for y’all. When my wife was pregnant with our youngest in 2012, she was diagnosed with gestational diabetes. (Let me know if you like it, and I’ll keep the link here for others). What else would you like to know about Service-Connection of Diabetes? Tell me in the comments section below – I would like to add more resources to the Veterans VA Claims University – help me make those resources valuable to you and other Veterans by telling me what kind of help you need to improve your VA Diabetes Claim. Hi just want to ask questions related to your topic about diabetes.first of all I’m in the active duty Army and I just recently diagnose but my doctor told me it takes more test to be sure that I’m a diabetic last blood sugar test i have was h1a1c 6.6%.my mom is diabetec but i was only diagnose when i was already in the army if this is service connected but you have a family history how this works would you still avail the benefits from the V.A.? 1) Yes, it takes more than a single blood glucose test to diagnose diabetes. 2) If you were diagnosed as diabetic in the military, you should definitely file a claim for service-connection of the diabetes, as an in-service diagnosis of a disability is the clearest evidence of direct service connection you can find. I am interested in knowing if any of the above would apply to reservists. My husband was in the Army Reserves from 1999-2004 (approximately 5.5 years). In late 1999 he was diagnosed in a civilian setting with Type I Diabetes. He became ill about 2 weeks after a two week annual training at Fort Knox and was diagnosed about 3 weeks after his return. He was told that his Diabetes could not be service connected because he was diagnosed as a civilian while not on active duty (between his training times…). His superiors were aware of his diagnosis, but he was not discharged until March of 2004. Due to being discharged prior to the 6 year reserve mark, he is not eligible for VA loan guarantee unless his Diabetes is Service Connected. I would be interested to know if you have had any cases that are related to reservists and if you have had any success. In a latent condition like Diabetes, the focus for a reservist is the connection to active federal service. The VA will invariably look to the date of diagnosis, and if it was not diagnosed on active duty for training, they will say – as they did in your case – that its not service connected. Sometimes that is a legitimate analysis, sometimes it is not. Another factor that is a little “unusual” is that your husband’s diagnosis is Type I (not Type II). I’m not a doctor, but I do know that they have very separate “causal chains”. I strongly recommend you have an attorney take a look at the claim – there are 5 Paths to Service Connection, and when it comes to Reservists, it is important that all of them are examined as options. Make sure you talk to several attorneys – I suggest talking to at least 3 – so that you can see the different approaches that are out there, and find one that works for you. 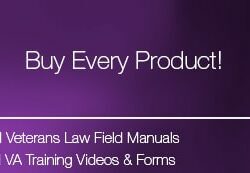 Check out this eBook at Veterans University: 8 Things that Every Veteran Should Know Before Hiring an Attorney.